Nucleus accumbens (NAc) dopamine (DA) plays an integral role in overcoming effort costs, as blockade of D1 and D2 receptors reduces the choice of larger, more-costly rewards. Similarly, the stress neuropeptide corticotropin-releasing factor (CRF) modulates DA transmission and mediates stress-induced alterations in effort-related choice. The current study explored how excessive stimulation of different DA receptors within the NAc core and shell alters effort-related decision-making and compared these effects to those induced by CRF stimulation. Male Long Evans rats were well-trained on an effort-discounting task wherein they choose between a low-effort/low-reward and a high-effort/high-reward lever where the effort requirement increased over blocks (2–20 presses). Dopamine D1 (SKF 81297, 0.2–2 μg), D2/3 (quinpirole, 1–10 μg), or D3 (PD 128,907, 1.5–3 μg) receptor agonists, or CRF (0.5 μg), were infused into the NAc core or shell prior to testing. 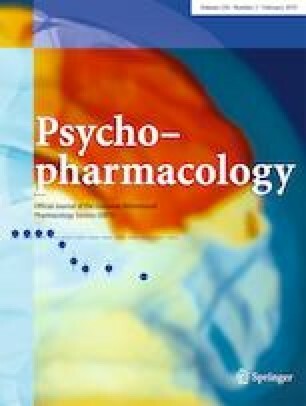 Stimulation of D2/3 receptors with quinpirole in the NAc core or shell markedly reduced the choice of high-effort option and increase choice latencies, without altering preference for larger vs smaller rewards. Stimulation of D1 or D3 receptors did not alter choice, although SKF 81297 infusions into the shell reduced response vigor. In comparison, core infusions of CRF flattened the discounting curve, reducing effortful choice when costs were low and increasing it when costs were high. Excessive stimulation of NAc D2 receptors has detrimental effects on effort-related decision-making. Furthermore, CRF stimulation induces dissociable effects on decision-making compared with those induced the effects of stimulation of different DA receptors. The authors thank Jade Adalbert for her outstanding assistance with behavioral testing. This work was supported by a grant from the Canadian Institutes of Health Research (MOP 133579) to SBF. All testing was done in accordance with the Canadian Council of Animal Care and the Animal Care Committee of the University of British Columbia.